When I told friends I was planning a two month trip to Africa, including a stint in Namibia, the most common responses were “Where’s Namibia?” “What about Ebola?” or “That sounds very dangerous.” For those in the know, however, Namibia has safe roads, good hospitals, clean water, a low crime rate and political stability. This makes it an ideal destination for the adventurous solo woman traveler or anyone else wanting a taste of Africa without the traditional scary bits. It also happens to be stunningly beautiful. Huge swaths of natural beauty are waiting to be soaked up by you and your camera lens. Distances between destinations are quite vast so if you plan to tackle the country independently be prepared for some long drives. 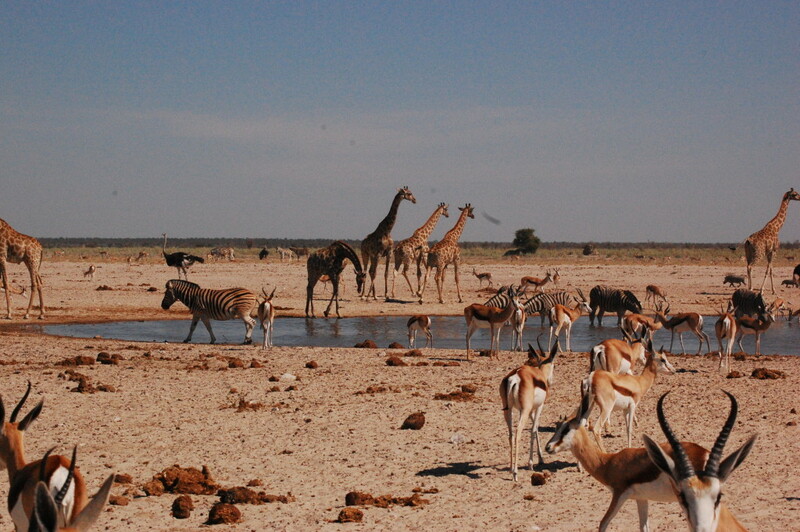 Spend at least four days here doing self-drive safaris. Leave your hotel as the sun rises and don’t return until sun set. Mother nature will leave you speechless. 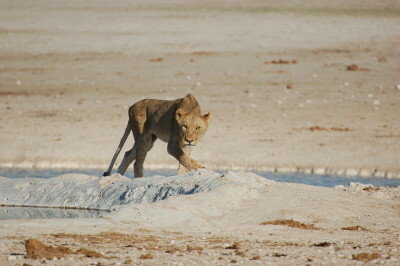 A close encounter with a lion, a watering hole teaming with animals, a giant bull elephant lumbering across the planes, a herd of 30 elephants splashing in the mud, a fight between male zebras that lasts for hours – the delights of Etosha are endless and spine tingling. 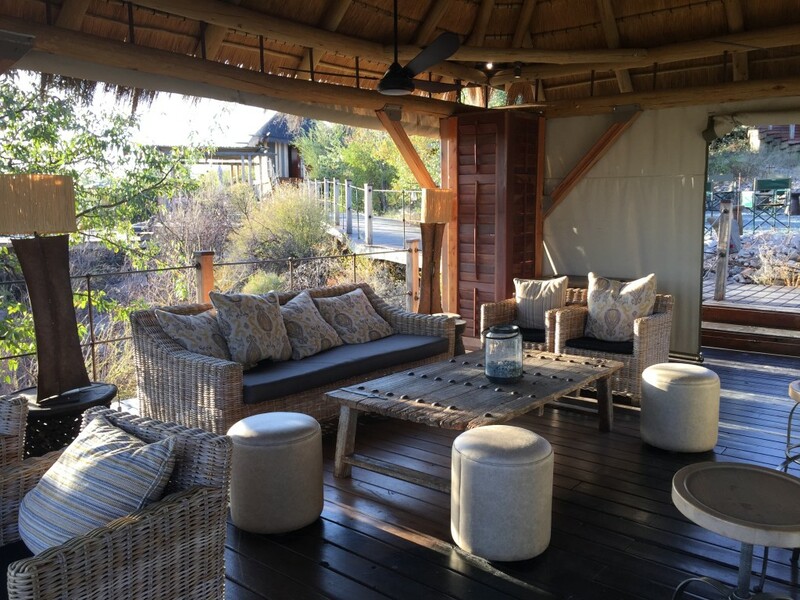 accommodations from basic camp grounds to luxury private stayed in the levels of villas where you can sip a g&t on your balcony at night while you watch rhinos and giraffes sip from the floodlit watering hole in front of your villa! The world’s second largest canyon will not disappoint. Book into a beautiful hotel perched perilously close to the edge of a canyon that plunges over 500 meters to its lowest point. Dark, dark skies free from light pollution reveal a southern hemisphere of stars that is truly breathtaking or you might be treated to a lightening storm over the canyon as you lie snuggled in bed. 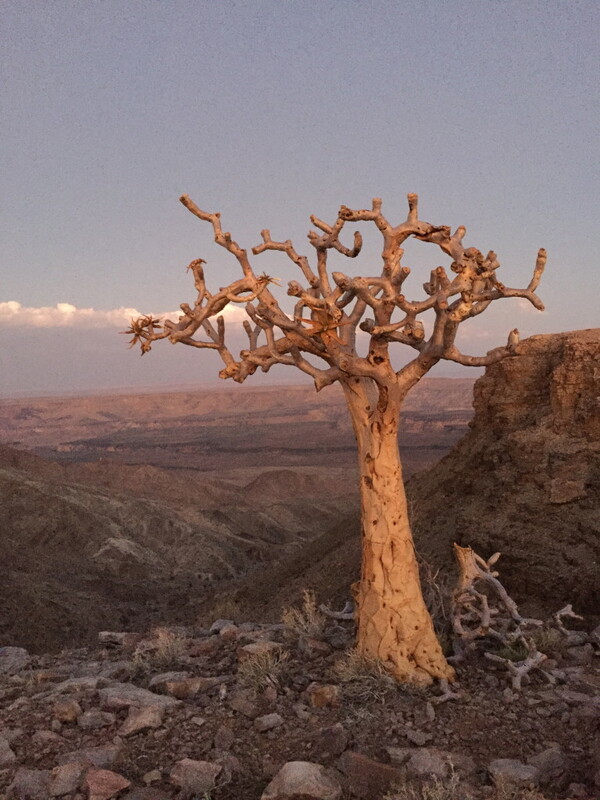 By day, hike down into the canyon and marvel that anything could grow in such an arid climate, including the weirdly spectacular Quiver tree. The hotel you choose will depend on whether you are approaching from the north or south of the canyon. Plan your route carefully as it’s a looooong drive around if you get it wrong. Fred Flintstone meets Salvidor Dali in Damarland. Giant red rocks perch hazardously on desert hillsides. The grass roofs of luxury hotels blend into the ancient rocks. Waiters serve four course dinners in the outdoor dining rooms. Staff tuck hot water bottles into your bed to ward off the freezing night time desert chills. While here be sure to support the indigenous people by spending a fascinating few hours at a Living Museum to learn how the people of the desert eked out a life in this arid climate for thousands of years. 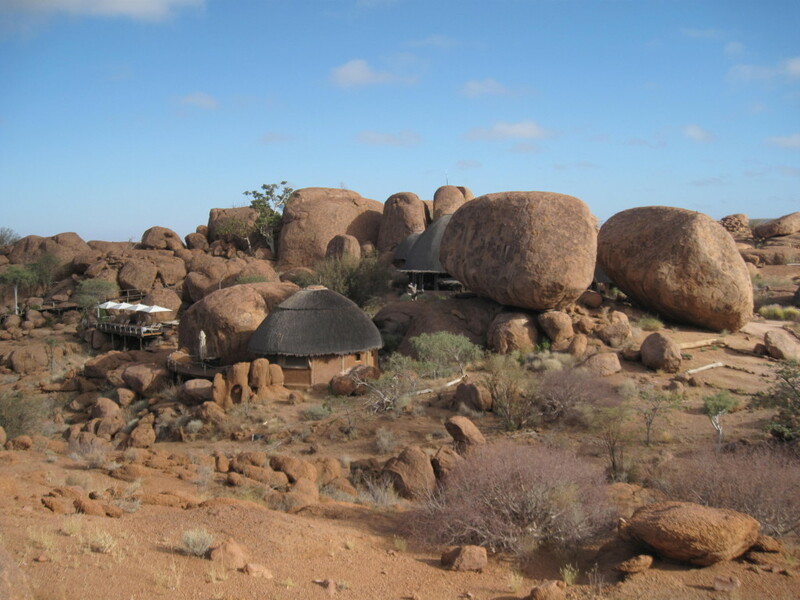 Mowani Mountain Camp (and its nearby sister Camp Kipwe) are both spectacular choices for your luxury desert stay. 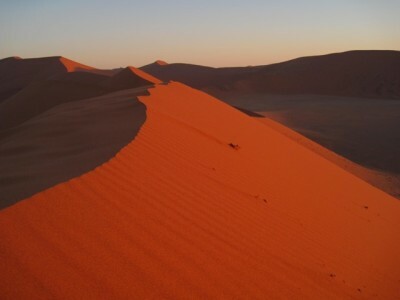 Sossouvlei – Massive red sand dunes stretch for hundreds of kilometers along the Atlantic coast. They are begging you to get creative with your camera. Drift across the dunes in a hot air balloon at sunrise. Climb one in the morning dusk, wait for sunrise to crack over the dunes and you’ll feel something immensely profound about nature and your place in it. 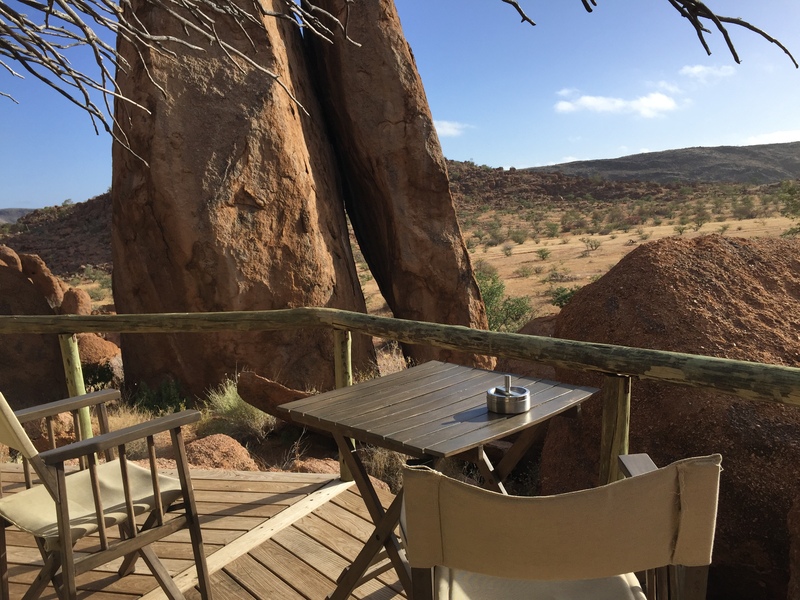 Or sit alone at sunset hundreds of feet up from the desert floor and feel an inner peace and happiness that you’ve only dreamt of in your every day life at home. The state run Namibian Wildlife Resort’s Sossus Dune Lodge is a good choice of hotel if you want to be close to the dunes for sunrise and sunset visits. 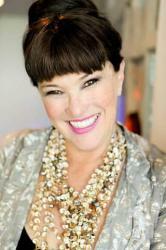 While I had friends with me at times during the 7 weeks I was in Africa I also felt completely comfortable on my own. I should qualify that by saying it is important to obey the rules and speed limits. 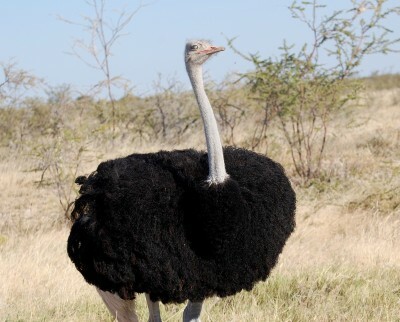 Tourists have been known to do stupid things and be killed driving in Namibia. 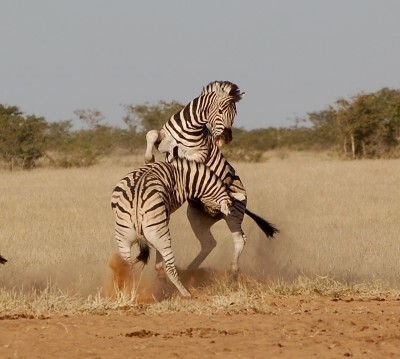 There are wild animals to watch out for and speeding on dirt roads is not advised. My car was fitted with a device that beeped every time we went over the speed limit and if we did it consistently it would have voided our insurance. The cost of the car rental was surprisingly low – C$1,300 for 17 nights. 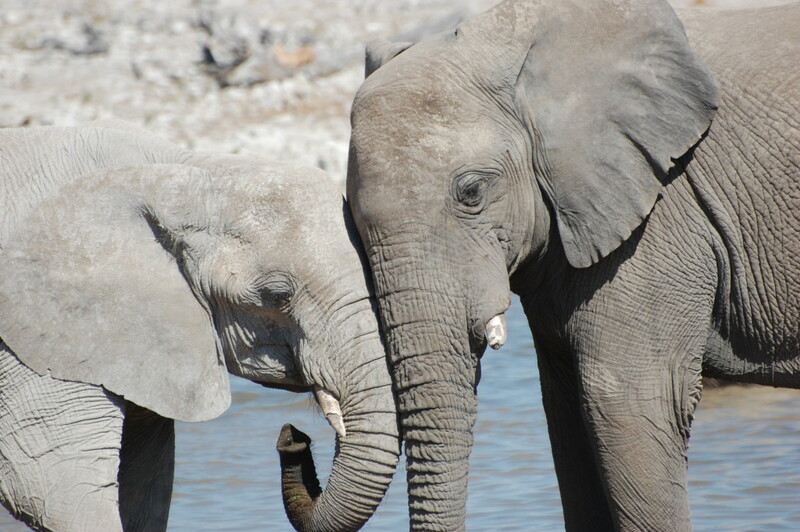 Rachel – this is a stunning picture you have painted with both words an images – now I am inspired to go to Namibia. 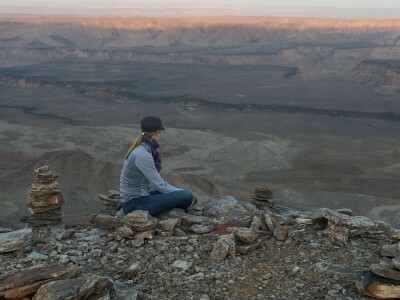 I found myself adding Namibia to my Bucket List. Rachel, you made me pine for the dunes and the giraffes! Such lovely photos, as well! 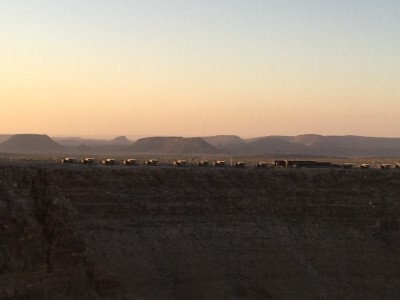 Namibia is stunning. What an incredible trip, Rachel. Thank you for opening our eyes and minds to the roads less travelled.